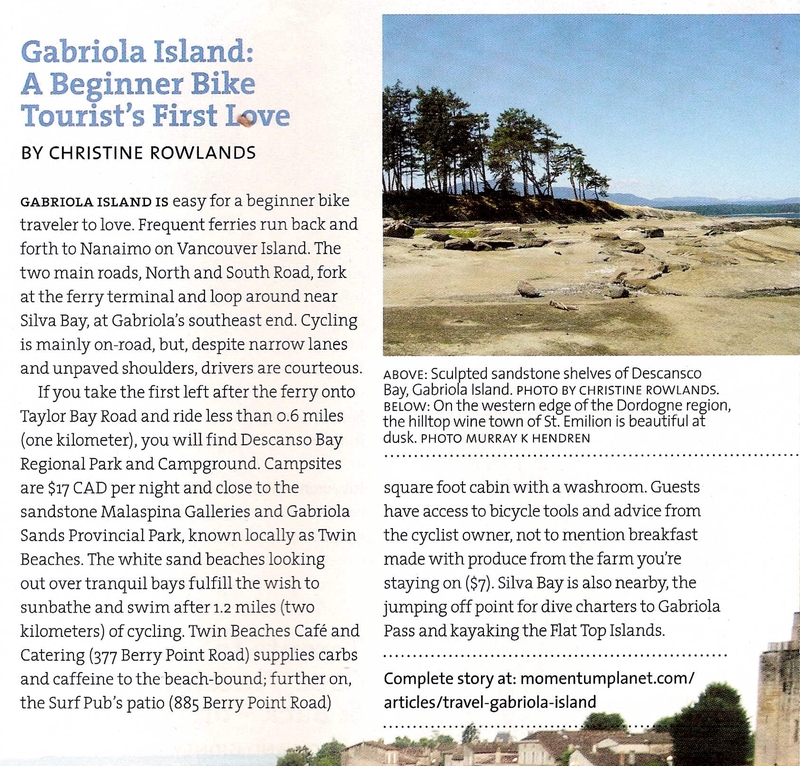 For this bike lifestyle magazine based in Vancouver, I wrote an article about travelling by bike to Gabriola Island, BC for its summer adventures theme issue. It was based on first-hand experience and some subsequent research. The article was published in the spring 2010 issue of Momentum, an international magazine for everyday cyclists.